University of Lynchburg’s 2015 Conference on Aging aims to provide resources to older adults as well as those who serve them—including healthcare providers, family caregivers, and even churches. 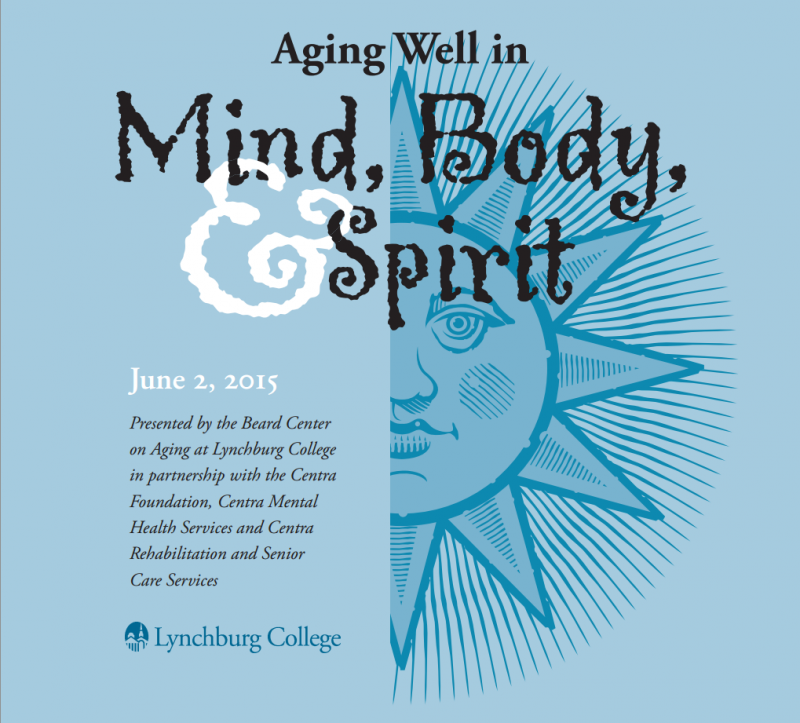 “Aging Well in Mind, Body, and Spirit” will be held on June 2. The annual conference draws hundreds of people who want to learn more about how they can keep themselves and others healthy in old age. The 2015 conference includes presentations on a variety of topics, including healthcare financial assistance programs for veterans, healthy habits, dementia care, preparing for the prosecution of elder abuse, and protecting assets. Some presentations will explain impacts of the Affordable Care Act. The conference’s keynote speeches will highlight how personal choices and spirituality can lead to improved well-being. Kathleen Passanisi, an internationally recognized speaker, humorist, and medical professional, will present “Choosing to Live a Happy, Balanced, Vibrant Life” at 9 a.m. on June 2. Her talk will emphasize the importance of making happiness a priority and making choices that lead to a happier life. The second keynote speaker, James Brooks, will present “May the Circle be Unbroken: Spirituality, Faith, and Aging,” in the afternoon. Brooks, the associate state director for AARP Virginia, will discuss the research-backed links between spirituality and well-being. Spirituality can have a positive impact on many aspects of life, including personal well-being, relationships, meaning, and purpose. He will focus on practical ways individuals, families, professionals, and communities can support healthy spirituality for all. The conference will be followed by a workshop about Alzheimer’s and dementia care from 8:30 a.m. to 5 p.m. on June 3. Early registration and a $25 discount for the Conference on Aging is available until May 15.